As many of your know, Romance Writers of America is hosting their annual conference this week. Our special guest today, New York Times best-selling author Jodi Thomas, is there and she is having a blast, I'm sure! But before she left, she wanted to share a little bit about her upcoming release, Wild Texas Rose, which comes out Tuesday, August 7. So, take it away, Jodi! WILD TEXAS ROSE is my 25th historical romance about Texas and I’m happy to say that I think readers will discover something new in this book that I’ve never seen done in a historical. I love writing about groups of people and this time I have more than one romance going at once. It was great fun to write and I lost a great deal of sleep because even after I turned off my computer I couldn’t turn off the story. The characters were still dancing in my head. WILD TEXAS ROSE is set in Fort Worth in 1876, just after the Texas &Pacific Railroad connected the town to the rest of the world. It deals with two men who were friends as boys and who both came back scarred from the Civil War. Neither believes they will ever find love. One, Abe Henderson walks with a limp, thinks he wouldn’t know how to love a woman even if he did find one who would give him a second look and has lived with his loneliness so long it feels normal to him. His only real friend, Killian O’Toole, lost the last of his family in the war and cannot turn loose of his brother. He often talks to Shawn as if his brother were still alive and standing next to him. Their lives change as Killian tries to help Abe by telling him suggestions that he claims Shawn, the ghost, has told them. Both men learn about loving during a crisis involving a runaway bride and a murder threat on a Texas Ranger. In WILD TEXAS ROSE I loved writing about Rose and Duncan McMurray because I saw them as children in an earlier book called TALL, DARK, AND TEXAN. Though they were both adopted into the McMurray family, they grew up needing to know the other was near. Sometimes people fall in love and sometimes it grows slowly over time. 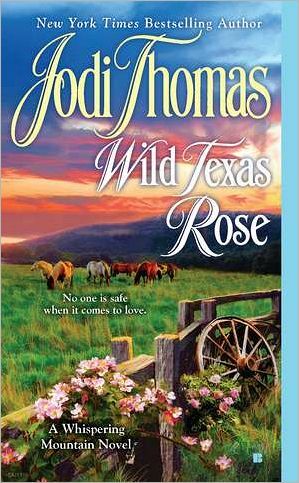 In WILD TEXAS ROSE I had fun looking at all the ways love comes unexpectedly into one’s life. Come along with me and fall in love. Twenty-five-year-old Rose McMurray may be beautiful, smart, and capable of running her adopted family’s ranch at Whispering Mountain, but she’s backed away from marriage three times without giving any reasons. Everyone thinks Rose is a coward, afraid of any adven-ture, including falling in love. She’s never done a single wild or reckless thing in her life...until now. Dear readers, what are some of your favorite romances that are set in the great state of Texas? Comment for a chance to win a copy of Jodi's Wild Texas Rose! Contest is restricted to U.S. and Canadian addresses only, please. Good luck to all! My favorites set in Texas are the books of Jodi's Harmony series. I love those folks! Honestly, when I think Texas I think of Jodi's books. I've enjoyed many of her stories but, alas, not all 25!! This sounds like a great one. Some of my favorites include Lisa Kleypas's Travis family. So good!! I never miss a Jodi Thomas book. In addition to Ms. Thomas's books and Lisa Kleypas's Travis books, I love Lorraine Heath's Texas books, especially the trilogy Texas Destiny, Texas Glory, and Texas Splendor and Always to Remember and many of Geralyn Dawson's books. Lori Wilde also has some fun Texas-set books.But my favorites are Marsha Moyer's Lucy Hatch books, one of my top ten series of all-time. I have read some great romances set in Texas including Lori Wilde's Twilight series, Lisa Kleypas's Travises series. I like both small town Texas and big cities ones. After reading these books it makes me want to make a visit. 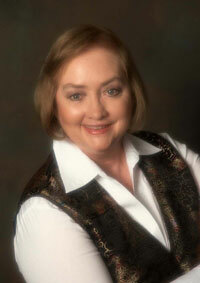 I remember years ago Lorraine Heath had a trilogy that I believe was set in Texas. It was historical romance and about brothers and very good. Oh, yes! I'll second Lorraine Heath's books. Hers are always full of emotion. My favorite romance books that take place in Texas are THE FORTUNE'S OF TEXAS series. The books were written by quite a few different authors. I love books set in Texas but I always have Jodi in mind when I think of books set in Texas. Almost all my favorite stories set in Texas are Jodi's. She does meticulous research and her stories ring true. Some of my favorites are the Whispering Mountain and The Widows of Wichita County. I love the sound of this story. Falling in love is a big step and harder for some than others. The reasons that hold them back are as varied as the individuals. The first Texas romances that come to mind are the Series of anthologies you did with Linda Broday, Phyliss Miranda, and DeWanna Pace that started with GIVE ME A TEXAN. I have them all and enjoyed them every time I have read them. The state has such a varied history and many authors that bring the romance of that history alive. I look forward to more from all of you. I love Lisa Kleypas' and SEP's Texas series, Jodi. But reading your guest blog has made me realize that I have been missing out on YOU! I have to remedy that right away. I'm at RWA too so I can see some friends and favorite authors. Maybe one day I'll be able to meet you too. Atlanta/2013! My DH is very supportive of my romance habit! PS. Was that you I saw today in the Romance between the covers" video fundraiser? I want to be a supporter and will be making a contribution ASAP. PPS. My husband laughed out loud at your DH's ordering characters put of the bedroom! I've always enjoyed Diana Palmer's books - she sets a lot of them in Texas. Wild Texas Rose sounds amazing. It's on my TRL. I always think of Linda Lael Miller's McKettrick brothers and the Creeds. Then there are Jodi's books. Loved the blurb and thanks. Last Call for Carrie Lofty winner!